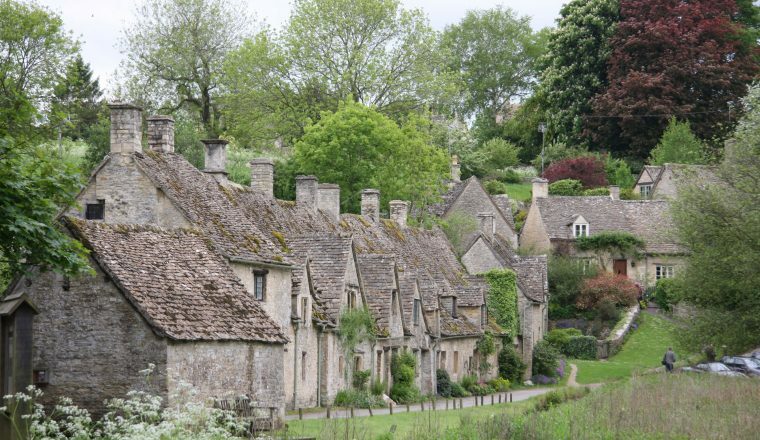 A six or seven night circular tour of the Cotswolds. Leave any day you like, subject to accommodation availability. 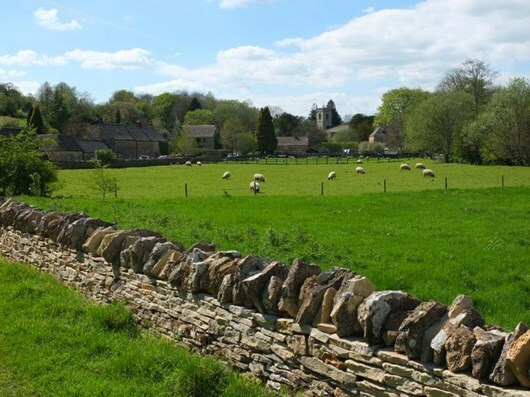 The South Cotswold Ring is a village-to-village walking tour offers a route through some of the least visited parts of the Cotswolds, following a circular route of just over 70 miles/112 kilometers. Please note that a 7 or 8 night version is possible either by overnighting on Day 2 in Winchcombe before continuing the next day to Bourton; or by the addition of an extension to Burford between Bourton and Northleach. 6 nights Bed and Breakfast accommodation – all rooms with private bathroom. 6 nights mixture of hotels, inns and first class B+B’s. Single supplement depends on accommodation chosen – please ask. Included: 6 nights accommodation on a bed and breakfast basis, luggage transportation, route notes and OS maps, back-up service. Day 2: Cheltenham to Bourton-on-the-Water – 15 mi/24 kms. 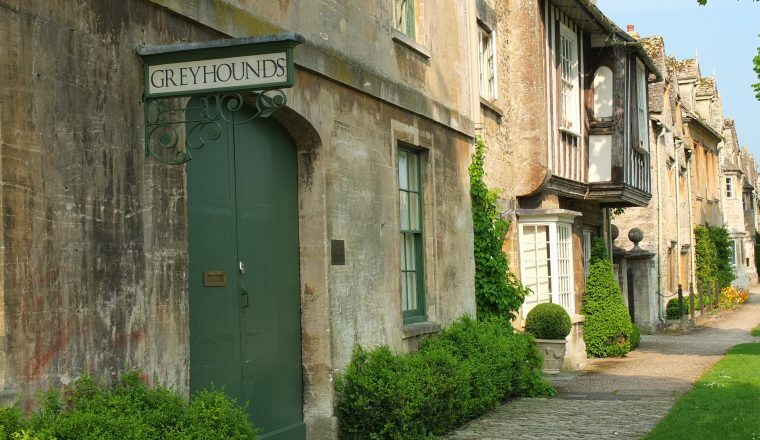 From Cheltenham (or Prestbury), climb gently up the Cotswold escarpment to the high wolds and head towards the lovely villages of Naunton and Guiting Power. 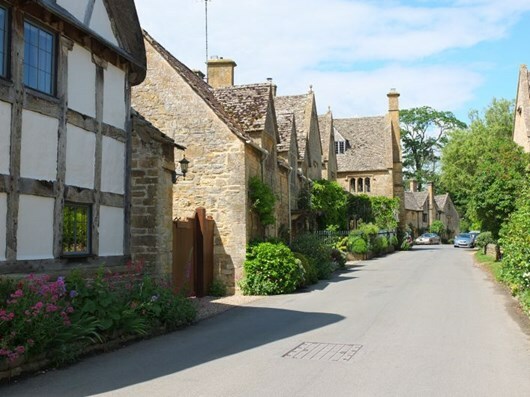 The route follows the pretty river Windrush, passing through the site of a ‘lost’ medieval village before entering Bourton-on-the-Water with its many attractions. Day 3: Bourton-on-the-Water to Northleach – 11 mi/17 kms. 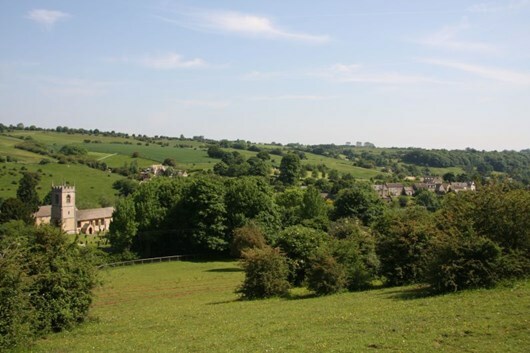 The route passes through Bourton’s water park and then ascends to the Rissingtons, before descending to Sherbourne and then on to the historic village of Northleach. There you will find what is perhaps the finest of all Cotswold wool churches, as well as a fascinating museum devoted to mechanical music. Day 4: Northleach to Cirencester – 14 mi/22 kms. Pass close by Hampnet with its charming church and head across country towards the palatial magnificence of Stowell Park. Arrive at the village of Chedworth with its welcoming pub (and nearby fine Roman villa), before walking to Cirencester, the second town of Roman Britain with its excellent Corinium Museum, market square, and the largest parish church in England. Day 6: Painswick to Cheltenham – 13 mi/20 kms. From Painswick walk across Laurie Lee’s ‘Cider with Rosie’ country to Sheepscombe, charmingly scattered across a beautiful valley. 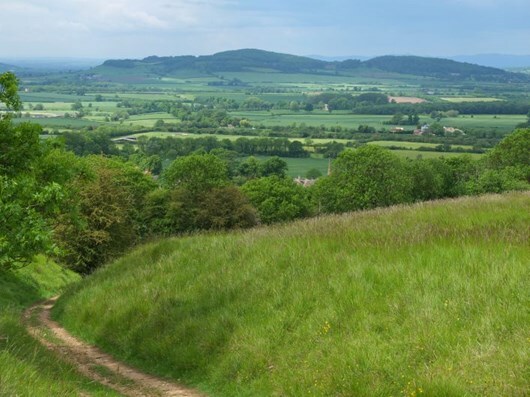 Through woodland and across country to Birdlip, joining the Cotswold Way to walk along the Cotswold escarpment with far-reaching views across the City of Gloucester to the Malvern Hills and the Welsh Mountains before descending into Cheltenham. Day 7: Departure after breakfast. An extension to Burford from Bourton-on-the-Water is optional, making this a seven night holiday. Extra Night:Day 8: Bourton-on-the-Water to Burford – 9.5 mi/15 kms. 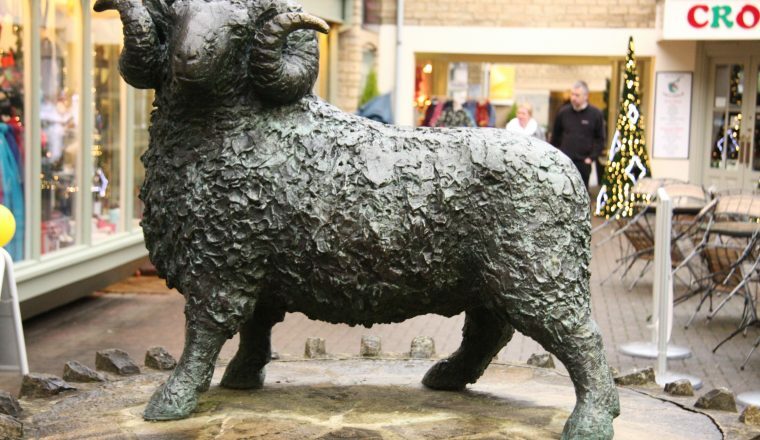 A comfortable walk from Bourton takes you around a series of lakes, the home of flocks of water birds, and passes through Taynton, whose quarries produced the finest Cotswold stone used in the construction of St. Paul’s Cathedral in London and many Oxford colleges. For those who want to spend extra time in the area, there are regular buses between Burford and Oxford.